What’s better than a really delicious wedding cake? More than half a dozen! 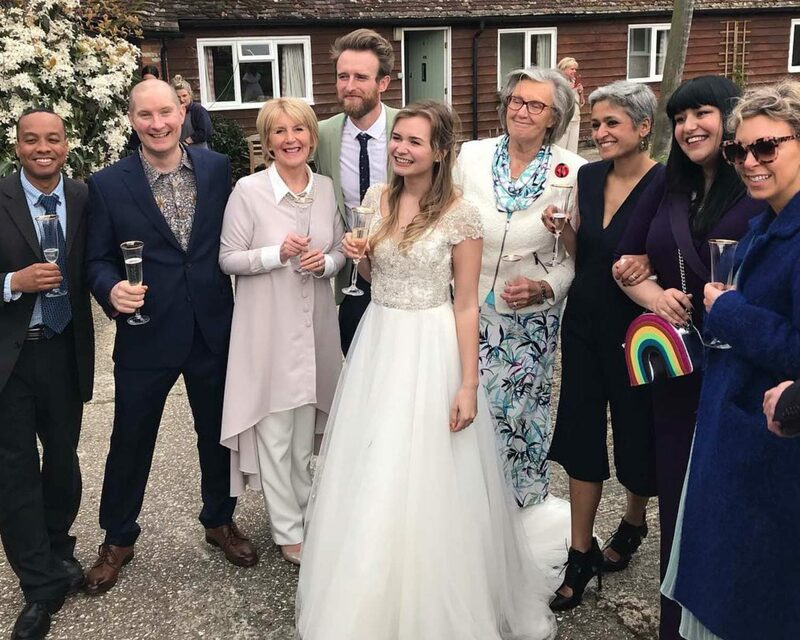 The cast of season 5 of the Great British Bake Off reunited Saturday to celebrate the wedding of their castmate Martha Collison, and each baker brought his or her own individual cake as a token of their love. Among the familiar faces that reconvened in full-on wedding attendee garb were contestants Nancy Birtwhistle, Richard Burr, Claire Goodwin, Kate Henry, Enwezor Nzegwu, Iain Watters, Diana Beard, and Jordan Cox. Fans of the hit series will remember that the former competitors were kind and helpful to one another, and bonded as a group back when the season aired in 2014. Some of the cakes on display included Birtwhistle’s prinsesstarta, a traditional Swedish layer cake covered in pink icing and topped with elegant flower decorations; Goodwin’s three-tiered chocolate cake sprinkled with various chocolate treats (including chocolate-covered pretzels); and a smattering of other offerings, including a Biscoff cake, a pistachio and raspberry cake, a lemon cake, a cardamom white chocolate pistachio cake, a chocolate lime raspberry cake, and more. Looking for your ideal cake? Secure your wedding vision by starting with The Knot’s Style Quiz, here. 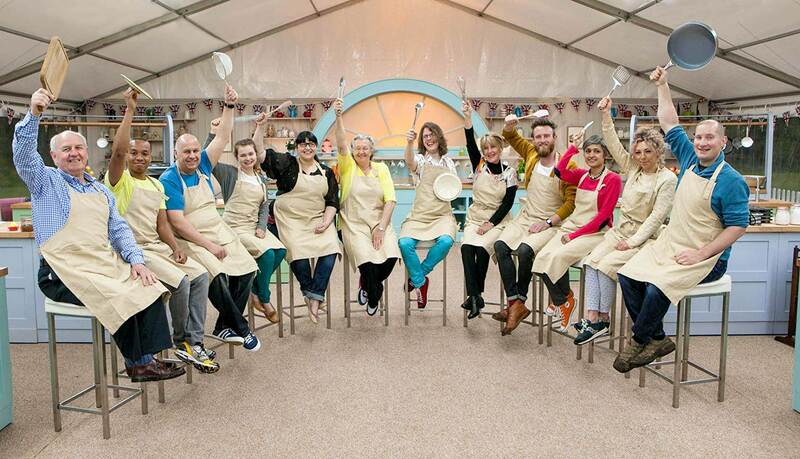 Be the first to comment on "‘Great British Bake Off’ Contestants Reunite and Bake Cakes for Martha Collison’s Wedding"